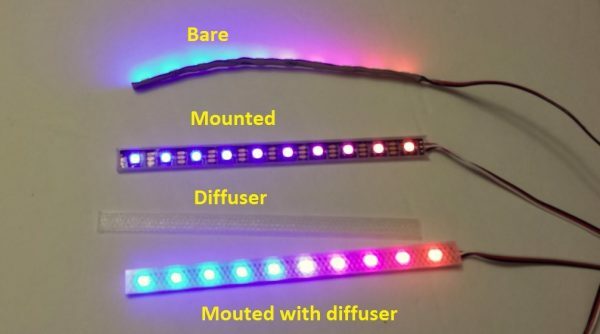 Flexible LED strip mount and diffuser #3DThursday #3DPrinting « Adafruit Industries – Makers, hackers, artists, designers and engineers! Flexible LED strip mount, protector, and diffuser. Used to rigidly mount flexible programmable LED strips on RC vehicles.